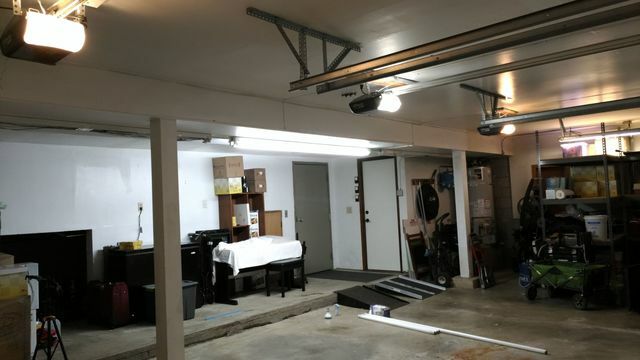 Three 8 foot F96T12 striplights and 1 F40T12 shoplight. 2 of the Slimlines have bad ballasts. Yes I know the shoplight is useless lol. The working Slimline has 2 Philips F96T12/C50 Supreme lamps and the shoplight has a GE SP30 and a Philips CW Supreme.